I treated myself to some new embroidery skeins a couple of days ago and got started on the apple pie wall hanging project from the Sweet Treats cross-stitch book. It was the one that really jumped out at me from the book so I had to give it a go straight away :) I haven't done any cross-stitch in years, but it soon came back to me after the first few stitches. It's so nice and relaxing, and perfect to do while watching the TV - as I lose interest veeeery easily! I just completely switch off and daydream about my next project! Am I the only weirdo that does this?? Nope, you're not the only one! :) It's looking cute so far!! Nope, not at all. And cross-stitch is reall meditative. No, your definitely not the only one! I really love the look of this book and just purchased it from The Book People. :-) Bargain! I think you're in excellent company--weird or not. Having something in my hands, whether it's crochet or embroidery or cross stitch, is very soothing. so cute. 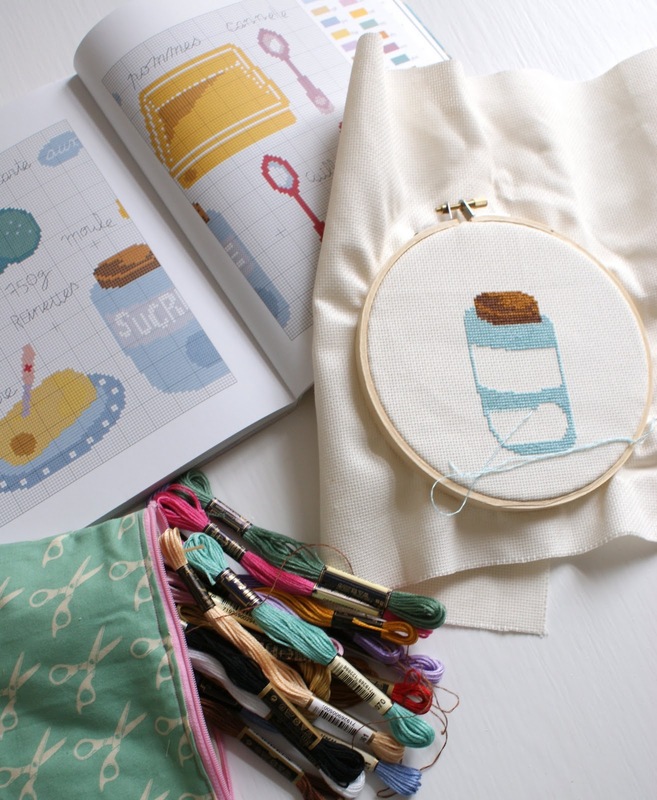 Your embroidery is going to be fun in your new kitchen!